Looks: Xylnthian is a tall and handsome young man with red hair and yellow eyes. Not as bulky or muscular as his older brother Shadowfire, Xyl is lithe, made up of lean but strong muscle. He doesn't work out regularly, but he does do some jogging around his area. He keeps his clothing casual and comfortable, but stylish at the same time. A sly and confident smirk or smile can usually be found on Xyl's face. In his Salamander form, he becomes, in other words, a bipedal Salamander. He stands more like a human, and his skin is like molten rock/lava, constantly radiating heat even from a distance. He has a long snaking tongue, molten fangs, and a long whip-like tail. Strengths/skills: Great with technology, he could be considered a technological prodigy. He has a photographic memory, and will never ever forget anything he sees. He takes a careful note of everything important that happens and stores it in a part of his brain, ready to take out at any notice. Smarter than he looks, he's a quick thinker and acts fast in times of danger. Weaknesses/Flaws: Water contradicts his fire. He also generally does not have any fighting experience except for the few moves that he's learned from his brother. While he can keep himself warm, he does not like the freezing cold. 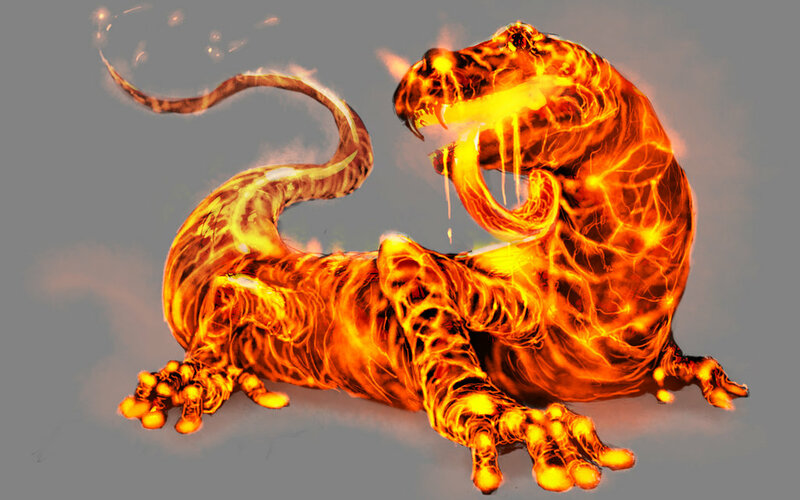 Absorbing too hot of fire will overheat him, and can kill him. At the highest that he can absorb, it would be 4,000 F. Absorbing too much of fire will also overheat him, and kill him. Special Abilities: His fireballs that he can either throw, or spit at people. Roughly the size of a baseball, he can shoot them at high speeds. Usually used as a defensive tactic so he can get away quickly. Other than that, fire is his main element. His fire temperature depends on how hot are the flames that he absorbs through his whole body. In his human form, his fire power is distinguished by 3/4s, and can only produce small flames. His skin is so cold that he can put out fire by walking through it. Flames up to 1,500 F, he can't extinguish. Personality: Xylnthian likes to think he's a smooth person, but is he really? Probably. He's overconfident, and pretty cocky. He's quite headstrong, and has a quick wit and is constantly making jokes, but he knows when not get into a fight. However, even though he's hot-headed, he shows careful discretion and planning. He's also very flirtatious with any female he finds pretty. He can display moods that range from mischievous and sly, to calm and cold. Because of his occupation, Xyl is actually very intelligent and insightful, and amazing with technology. 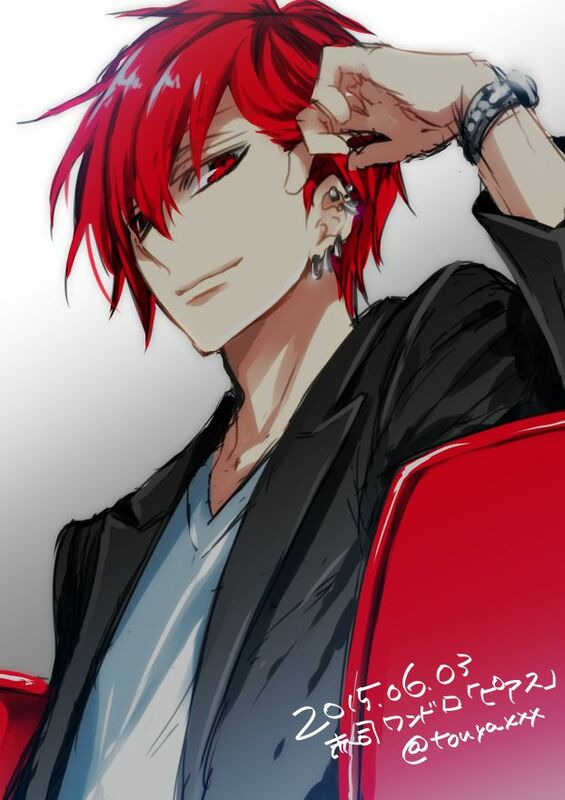 He has two siblings that he argues with all the time, especially his older brother Shadowfire. Those two are constantly having cussing matches at least other while the sister, Viper, tries to be the peacemaker in between. He loves pranking his siblings and testing their patience. History: Born in Eiria, moved to Xastristan when he was 10, and has been living there ever since. He is the middle child, born after Shadowfire and born a few minutes before Viper. He went to a famous technology university in college, earned his Master's degree and proceeded to join an engineering company as a mechanical and electric engineer. RP paragraph: Hi. Hola. 你好.